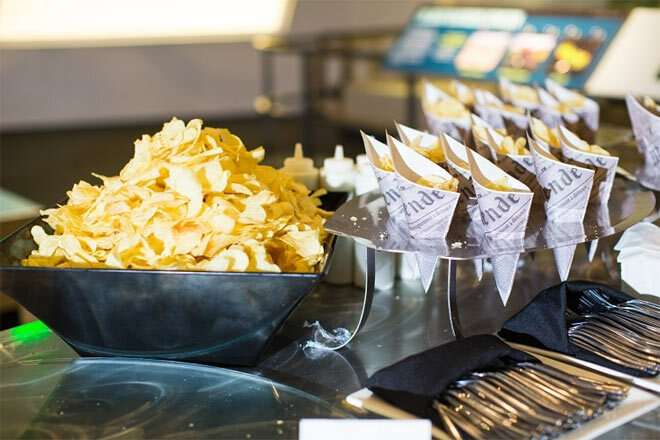 Chips are so popular, guests will need no invitation to serve themselves at your station. So, even a simple table setup with creative add-ons, as in the examples below, will work just fine! Wow, that’s a whole lot of chips! 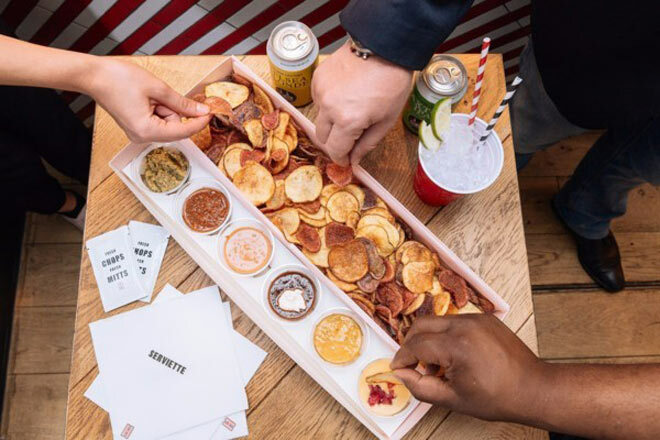 Spotted on HGTV, see how easily you can assemble a serve-yourself snack station stocked with kettle chips poured into one giant bin, then placed on a buffet or console table. 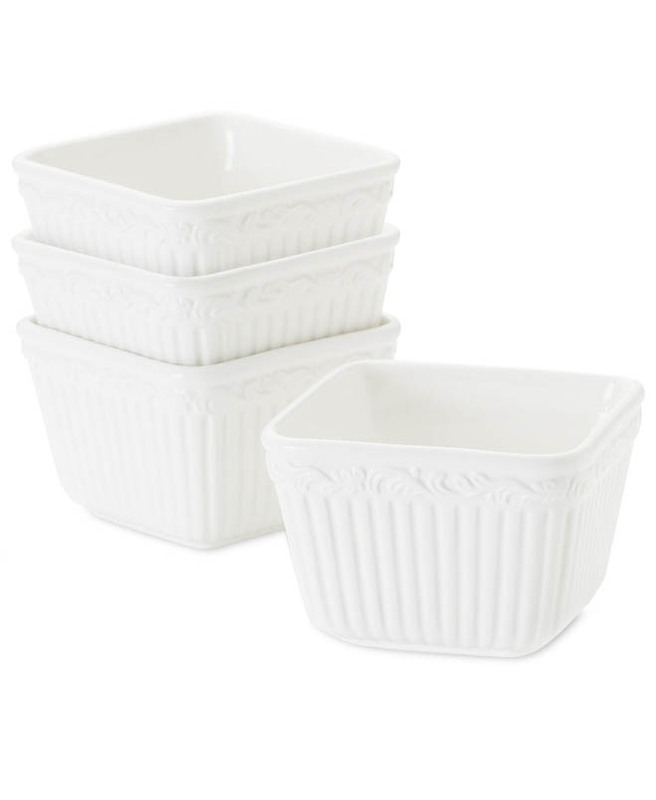 Offer a selection of savory seasonings and gourmet toppings and dips in bowls, with plastic fruit baskets for guests to fill up. 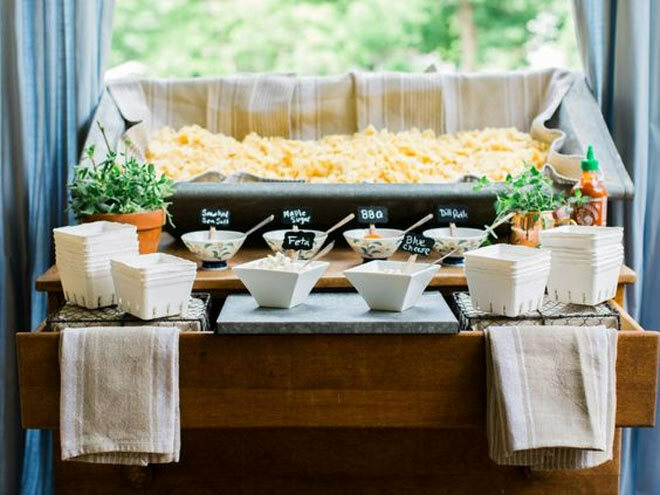 Take a cue from Beyond the Box Catering for a chic and modern chip station. 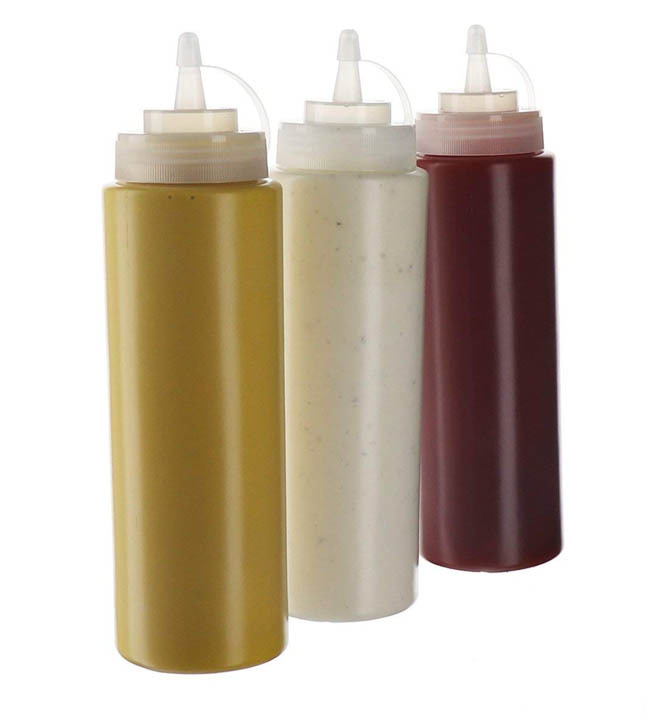 Sleek serve ware, sauces and dips in handy squeeze bottles, and French-inspired newspaper cones for single-serve chips packaging. 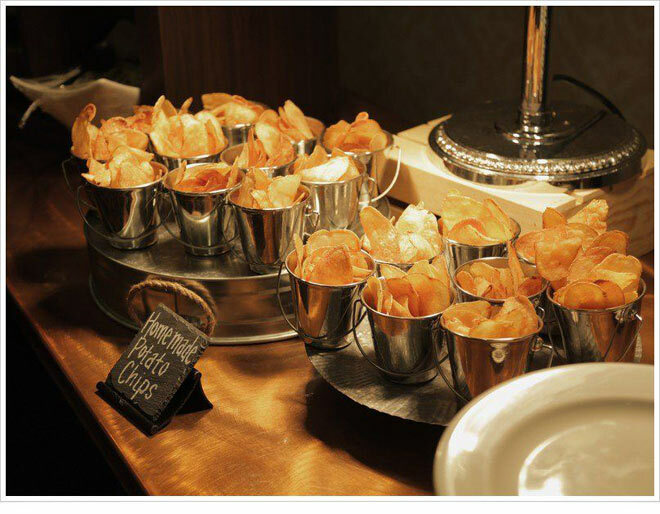 Featured on Meetings Imagined, this Cali Marriott Hotel chips station offers up a variety of chips (not just potatoes) so cleverly presented in mini deep-fry baskets. Why not try this, too! 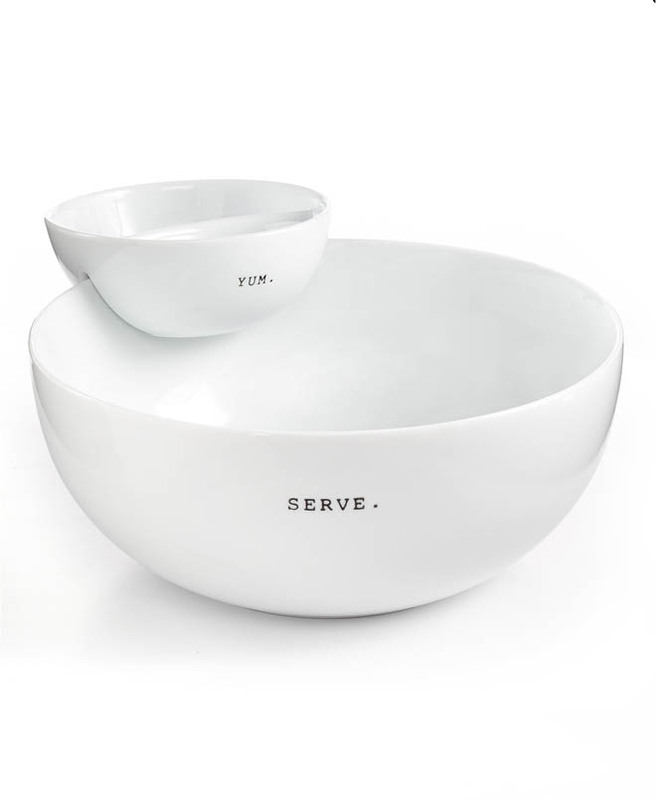 Having a casual at-home wedding reception? 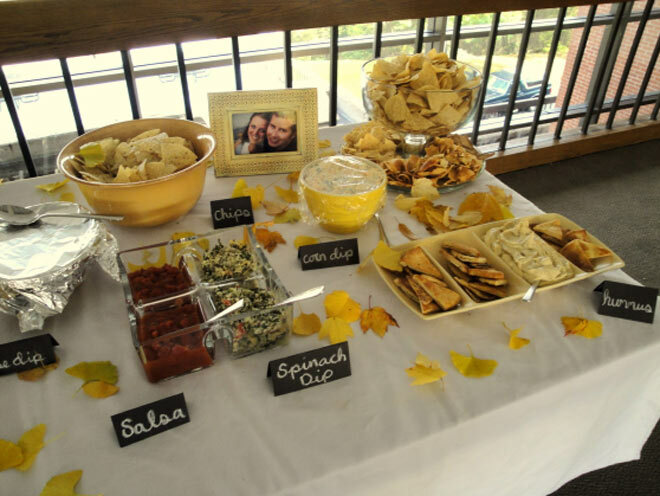 Here’s a charming presentation for a chip-and-dip bar by Bridal Bliss, offering a variety of munchies – potato chips, pretzels, crackers, and tortilla chips – along with a selection of dips like spinach, Mexican, garlic, dill, French onion, salsa, and humus. Love the seasonal touch of the scattered autumn leaves, too. 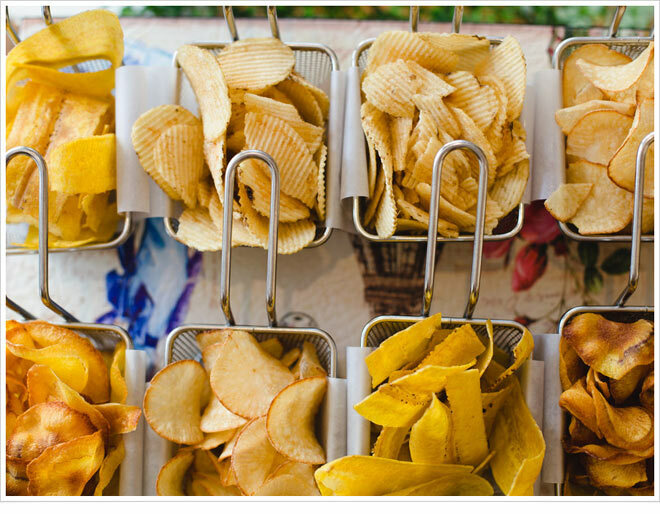 Perhaps your chip station will be a way to transition guests from the ceremony to the reception? 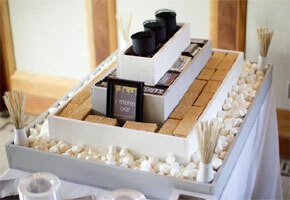 Then, you can set up small cocktail tables each topped with boxed servings of chips with an array of savory and sweet dips in little cups. Neat idea found via Hip Chips! 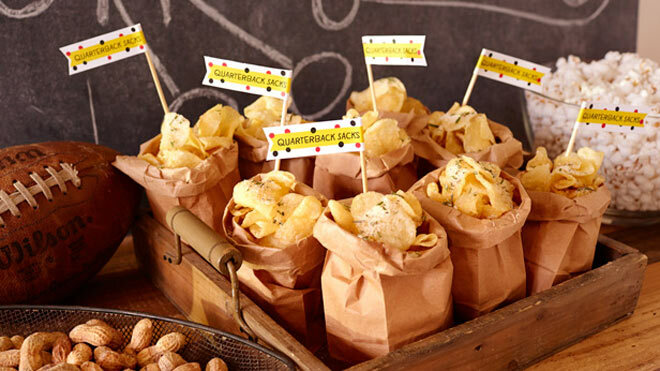 Another stylish way to present chips at a rustic-themed reception would be in mini tin pails, as featured on Meetings Imagined. 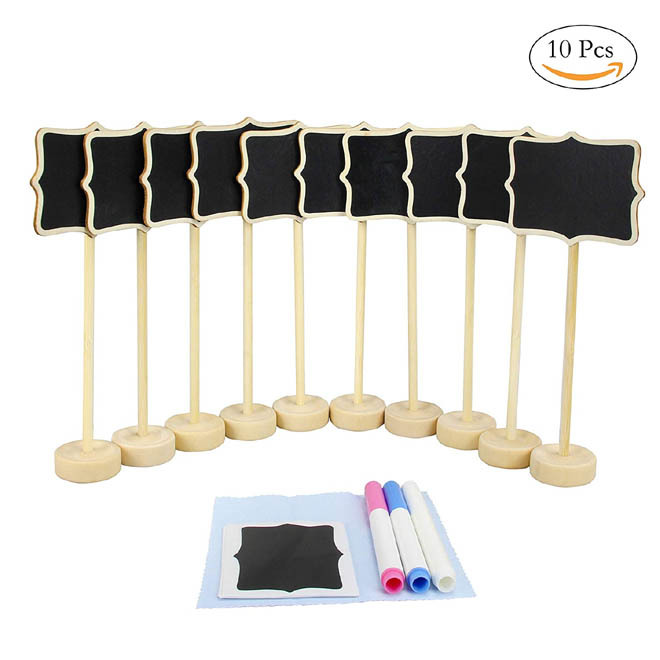 And if you have a family tradition of making your own potato chips, you could proudly announce that you are serving homemade ones using a chalkboard buffet sign. 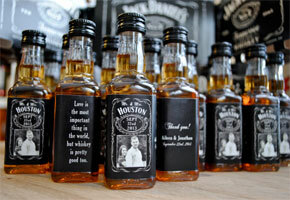 Here’s a great idea for a football-themed wedding rehearsal dinner or a rustic-style reception. 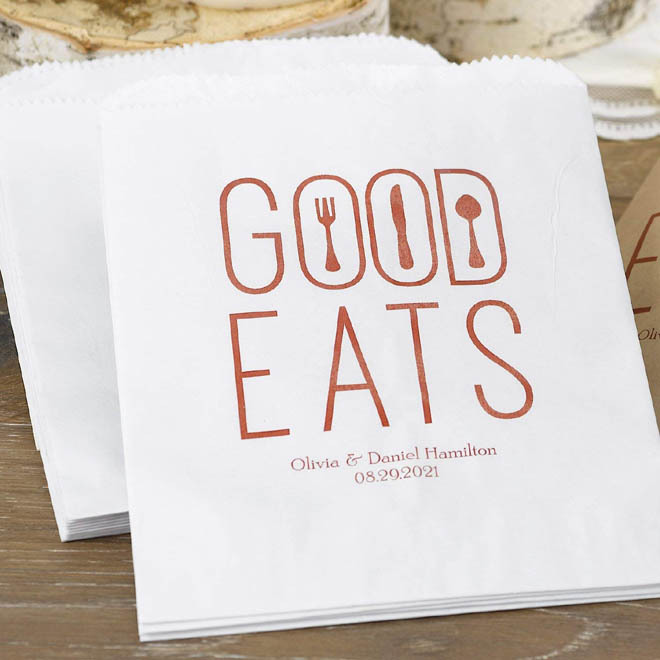 How cool (and cost-saving) would it be to have crispy chips served in paper bags – as seen here on Hallmark. 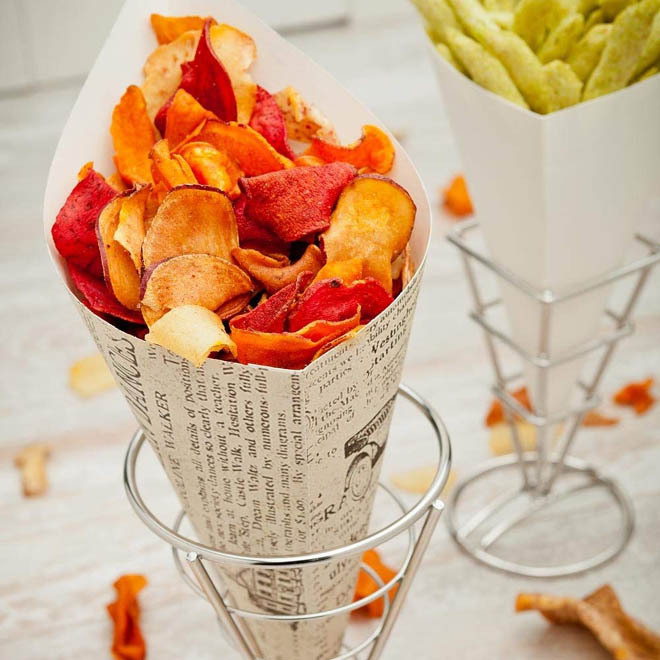 For variety, you can make or buy apple chips, sweet potato chips, taro chips, and even kale chips! 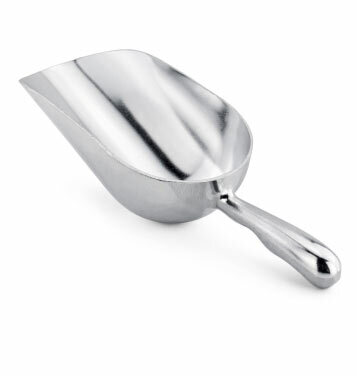 Or opt for “popchips” that are made by applying heat and pressure to corn and potatoes. 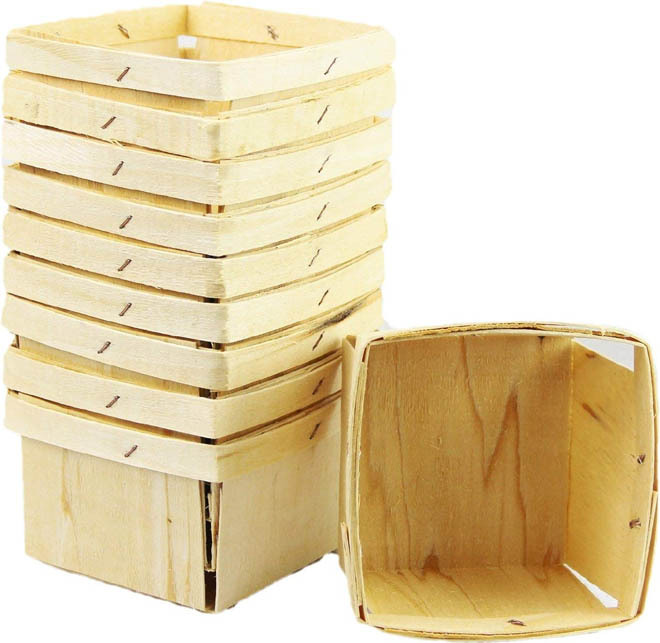 Here are our suggested chip station supplies, from serveware to packaging to signs! 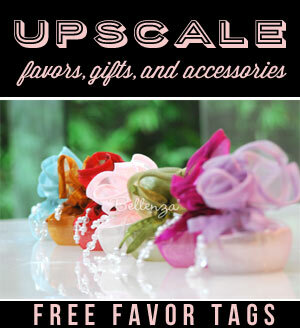 Next Budget-friendly Cakes for Small Weddings: Tips + Tricks!